Exhibits featuring fossils, crystals, jewelry, and fluorescent stones will be on display for the two-day Fossil, Gem, Mineral and Jewelry Show on Saturday, Oct. 20, and Sunday, Oct. 21. The event will be held from 10 a.m. to 5 p.m. each day in the Prairie Center Gym, located on the Prairie State College (PSC) main campus at 202 South Halsted in Chicago Heights. 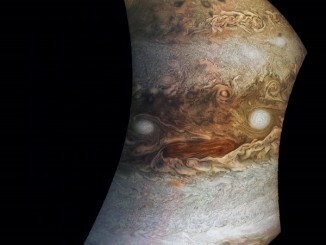 This family-friendly event is free and offers educational opportunities for all ages including a special presentation during Sunday’s show featuring NASA Ambassador, Joel Knapper. Gem and fossil enthusiasts will get the chance to meet the experts, get a close look at the latest finds, and learn about the geological history of the area. Exhibits will include fossils from Mazon Creek and Thornton Quarry, minerals, jewelry, lapidary, crystals and artifacts. Handmade jewelry, precious stones, fossils, crystals and more will be available for purchase. 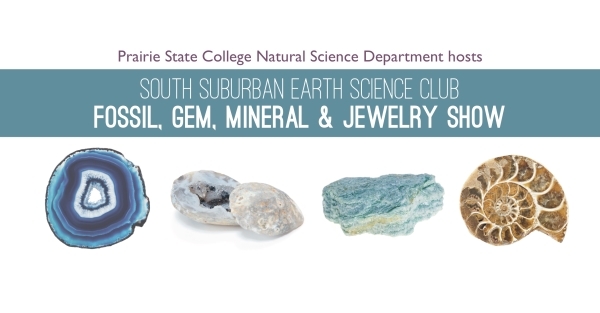 The show is co-hosted by PSC’s Department of Natural Sciences and the South Suburban Earth Science Club. For more information, contact Burrough at [email protected] or Jan Podbielski at [email protected]. New FBI Report: Every 20 Seconds, Someone is Arrested for a Drug Law Violation in the U.S.